 Your lifting equipment needs to be strong, sturdy and of the highest quality. That's why at SafetyLiftinGear our range of chain block hoists and lever hoists are made by professional equipment company Elephant. Our range of Elephant Hoists is very impressive indeed, with a variety of chain hoists for you to choose from. We have a chain block for every possible working scenario, and several types of lever hoist and elephant chain blocks which come in a range of shapes, weights and sizes. Please note that each of our Elephant Lever Hoists and Elephant Chain Hoists have a different weight limit, so please check this before you purchase. Our range of Elephant Lifting Equipment..
You can purchase an Elephant Chain Block Hoist for weights of 500kg, 1 tonne, 2 tonnes, 3 tonnes or 5 tonnes, with lengths from 3 mtrs to 30mtrs. Our Elephant Lever Hoists options are for weights of 800kg, 1600kg or 3200kg. We encourage customers to have a thorough look at our range of Elephant products to ensure you purchase the correct chain Block to meet your needs. Alternatively, if you're looking for a lever hoist then each of our elephant products has different specification. Our range of different types of chain block & lever hoist are all made in Japan. Each of our Elephant products is individually crafted and created to be durable, safe and high-quality to ensure your safety and satisfaction with this lifting equipment. If you need any advice, or have any questions about our Elephant lifting equipment please don't hesitate to give one of the SafetyLiftinGear team a call on 0808 123 69 69.